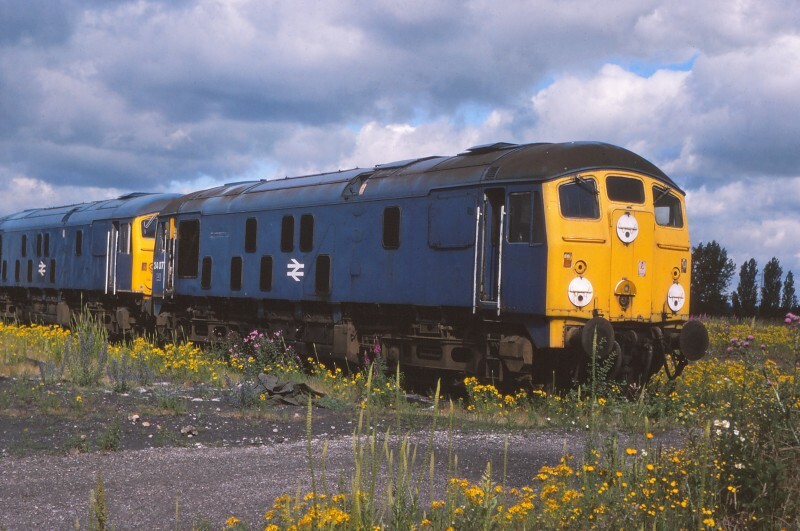 Martyn Hilbert's Railway Photography - BR Blues - Class 24, 24077 at Swindon Works. Class 24, 24077 at Swindon Works. Withdrawn Class 24 24077 was out to grass at Swindon Works on July 18th 1977. The loco was new from Crewe Works in February 1960 as D5077. It was withdrawn in July 1976 and was scrapped at Swindon in June 1978.